It appears New Orleans does indeed have room for more festivals, especially if it honors the beloved fried chicken. Between Popeyes and the post-Katrina takeover by Brothers Food Mart, New Orleans has its fried chicken game on lock, and the two-day, 2018 National Fried Chicken Festival, held September 22 & 23 in Woldenberg Park on the riverfront, aims to also showcase as many variations as possible. The annual fest features three outdoor stages, two for music (live and DJ) and one for the cooking demos. Once again, over 30 well-known fried chicken vendors are coming to show off their creations and to keep you well-fed. Among the returning vendors is the past years’ contest winner, the beloved Original Fiorella’s in Gentilly, as well as McHardy’s Chicken & Fixin’, Sucre, Crepes a la Cart, and Oceana Grill. The festival’s menu expands way beyond chicken and includes vegan options, with vendors hailing from all over the South and as far as California. The festival’s roster of “experiences” has the VIP and chill lounges returning from previous years. The 2,000 sq. ft. VIP lounge offers private viewing areas, restroom access, and other perks (tickets). The Football Fan Zone will once again screen college and NFL games, and the little ones could be entertained in the kids’ pavilion with a slew of scheduled activities. 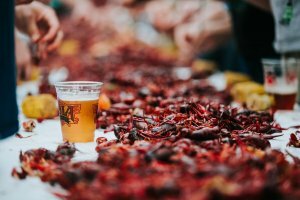 New this year: the Scavenger Hunt (get the details here), a Crown Royalty Lounge, and a beer tasting garden hosted by Miller Coors and NOLA Brewery. A chill lounge could also be a good (and necessary) stop, for some misting and cooling off as there’s a good chance the city will still be in the grip of summer heat in the late September. The festival organizers want you to be comfortable, of course, so you’re also welcome to bring your own umbrellas as well as lawn chairs and blankets. The main stage, located on the Great Lawn, will feature a diverse lineup of the popular local acts like Amanda Shaw and the Uptown Jazz Orchestra. Once again, you’ll also be treated to a lively mix of brass bands, zydeco and Mardi Gras Indians. Besides the diversity of musical acts, there’s also going to be a diversity of cooked chicken. While everyone is coming to Woldenberg Park to partake of the South’s favorite fried treat — a meal that is, indeed, beloved around the world — don’t forget that there are some major competitions on the line. The eating and cooking contests are guaranteed to be entertaining, and a team of national food writers, bloggers and critics will be on hand as judges. Please note that the fest doesn’t allow pets and coolers. Street parking is scarce in the French Quarter, but there are enough paid lots in the area to accommodate the festival-goers. If you plan on biking, make sure you park your bike outside the festival’s grounds, as no bikes are allowed inside. The festival keeps getting a little bigger every year. Organizers estimate about 166,000 people attended the fest in 2017. 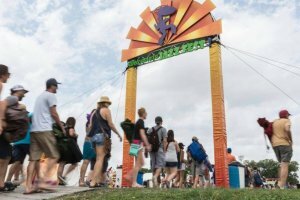 More than 200,000 are expected this year, but the expansive venue and more vendors are expected to handle things just fine. So, come with an appetite. This is New Orleans, and folks love their chicken. We expect to see many tourists and local friends with a wing in their hands, and a smile on their faces! 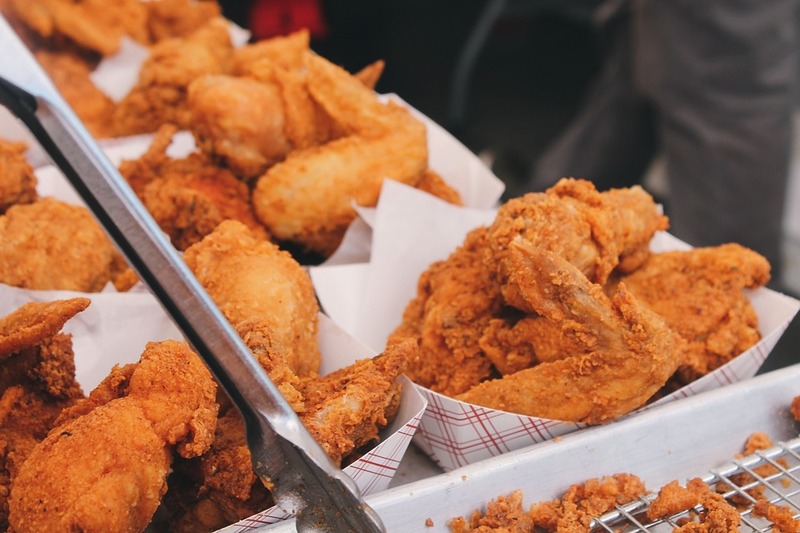 The National Fried Chicken Festival, presented by Raising Cane’s, is free of charge, Sept. 22 & 23, in Woldenberg Park.